Adding features to make iOS apps more palatable to the Mac could end up making the iOS experience better. MacOS Mojave is here, and with it, Apple is now officially shipping four Mac apps that were written for iOS and run using a translation system that Apple’s planning on rolling out to app developers next year. But while it’s fun to consider what apps from the iOS App Store might come to the Mac App Store in 2019, it’s also worth asking what else Apple might bring to macOS next year—and whether it might have some unexpected benefits for iPad users in the process. Let’s start with the obvious: This entire project of bringing iOS apps to the Mac is a work in progress. As Apple said on stage at WWDC in June, perhaps the best way for Apple to understand the scope of work that’s required to allow iOS apps to reside on the Mac is for the company to apply that technology to its own apps. 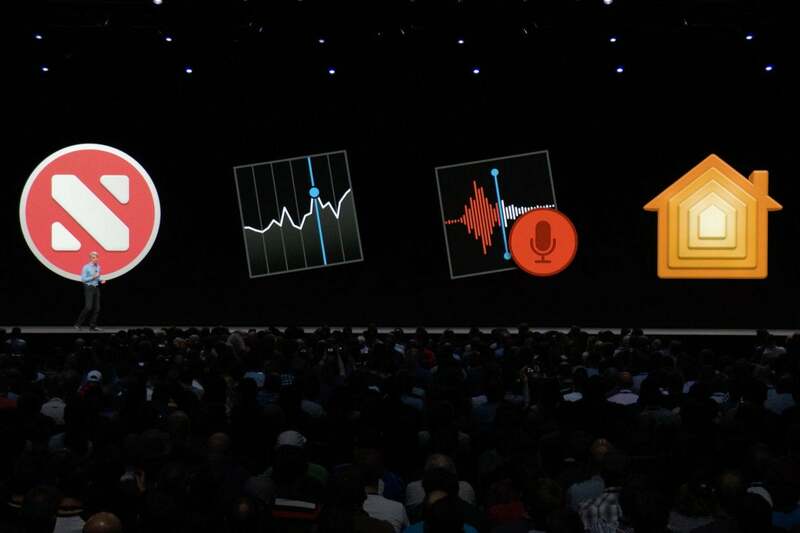 So in macOS Mojave, we have News, Home, Voice Memos, and Stocks. 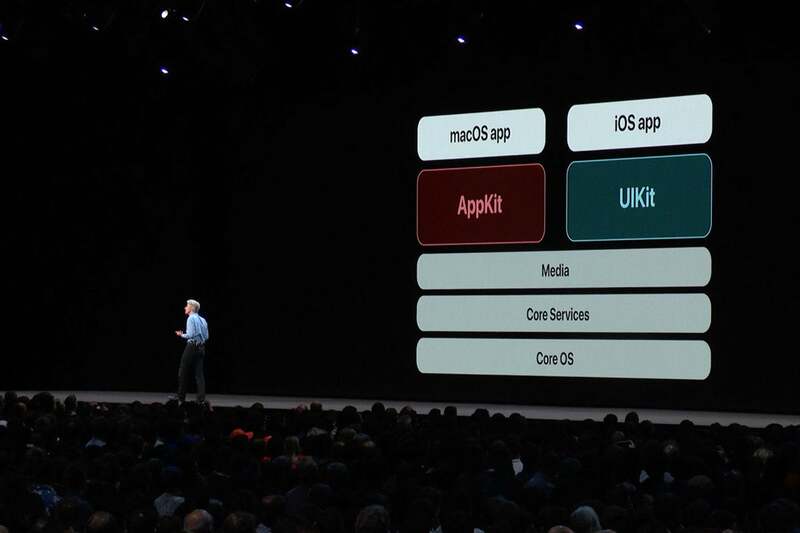 Apple’s Craig Federighi annouced at WWDC 2018 that the company is developing tools to allow iOS apps to be brought to the Mac. Apple probably chose those apps, at least in part, because they were relatively easy to migrate. None of them are complex, document-based apps that would have support multiple windows on the Mac, for instance. But even so, there are places—setting a schedule in Home, for example—where the assumptions of iOS still poke through on Mojave. A settings window is a modal and unmovable phony window inside the real app window. A date controller uses iOS’s spinner interface, which is altogether unsuited for macOS. These first iOS apps on the Mac, in Mojave—well, they aren’t very good. Don’t get me wrong, they’re better than nothing—but they also show that Apple was exceedingly wise to spend another year on this technology before rolling it out to developers. The good news is, I don’t believe Apple is happy with the current state of affairs, either. The iOS-to-Mac app experience will need to get better next year for users and developers to be satisfied. This system (still unnamed, though media reports have generally settled on calling it after one reported code-name, “Marzipan”) will develop and, with any luck, will improve the user experience on the Mac and iOS alike. There are benefits on the iOS side too, especially for iPad users. 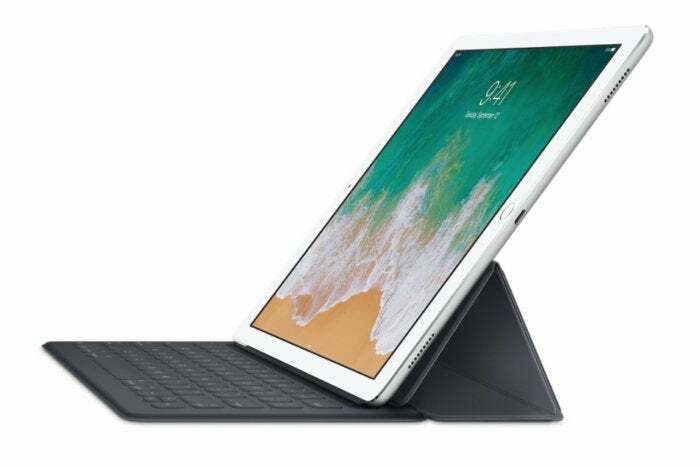 As I’ve discussed before, once apps offer support for keyboard shortcuts and mouse pointers and the Mac menu bar, it’s not impossible to imagine that future iPads could offer those features if you connected them to a Bluetooth keyboard and trackpad. One thing we could see as a result of the ability to bring an iOS app to the Mac: better iPad keyboard support. A lot of iOS apps also lag behind their Mac equivalents in key respects. If Apple wanted to use the iOS code base for Apple Mail to build a new version of Mail for macOS, I’d expect the company to make some effort to add in some features that the Mac currently offers, like Mail Rules. And while the iWork apps on iOS keep getting closer and closer to their Mac counterparts, there are still some functions you just can’t do on iOS. One key issue to be dealt with will be apps that can offer multiple windows, which is common on the Mac but essentially nonexistent on iOS beyond safari, which can display two separate webpages at once. For a while now I’ve been expected Apple to add in-app Split View to next year’s iOS release; now imagine that feature also being tied into Marzipan. In other words, maybe iOS apps finally get the concept of multiple windows or documents or views open at once at the very same time that iOS apps come to the Mac, where multiple windows are an important existing concept. Good timing, right? It’s got to be a big burden for Apple to maintain these two separate app platforms, both in terms of supporting developers and in terms of writing its own apps. If the company executes on this app-translation strategy effectively, though, there will be one app format that spans devices from the iPhone all the way up to the 5K iMac Pro. Will this be a good experience for Mac users? That’s all down to the execution. I expect that we’re in for a few years of growing pains. Apple will need to keep updating what it’s doing and listen to feedback from users and developers about what’s not working right. In addition, it’s entirely possible that Apple will use this transition as an opportunity to redefine what it considers good behavior for Mac apps. I hope that it will make those decisions for good reasons, and not simply because of its failings in developing this new technology. A lot of Mac users will certainly be grumpy if the Mac changes, because they’ve been using the Mac for a long time and change is hard. But Apple knows that a whole new generation has grown up with iOS—and making the Mac a more familiar place for iOS users is a huge opportunity. Look, nobody said that this would be easy. In fact, it’s incredibly hard. But with the release of these first four iOS-translated apps in macOS Mojave, the transition has begun. It will almost certainly get weirder from here. But I’m hopeful that it’ll also get better.